I don't know if you've had the chance to pree my Wishlist but if you have, you'll have seen that I have a lot of items on my wishlist, and the list is evergrowing. Giorgio Armani Luminous Silk foundation has been on my Wishlist for a while now, so imagine my delight when I found out Giorgio Armani was given away free sample testers. EXCITED does not even do justice to the emotion I am feeling right now. 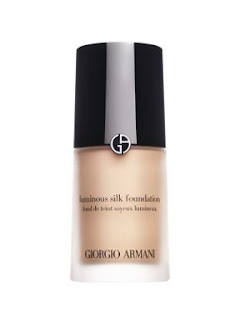 I am beyond excited, especially as not only is Giorgio Armani giving away a sample of their Luminous Silk Foundation but also their Fluid Sheer Foundation. 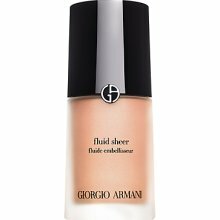 If you want to claim your complimentary trial samples, then all you'll need to do is like Giorgio Armani's Facebook page, fill in a simple form (which will literally take you 30 seconds) and then you'll be given a voucher to take to your nearest Giorgio Armani stockist where you can claim your freebies. I've already got my voucher for the foundation, so what are you waiting for? P.S. The deadline for this giveaway is Sunday 30th June 2013.